Hogwarts in The Snow at Warner Bros. Studios! 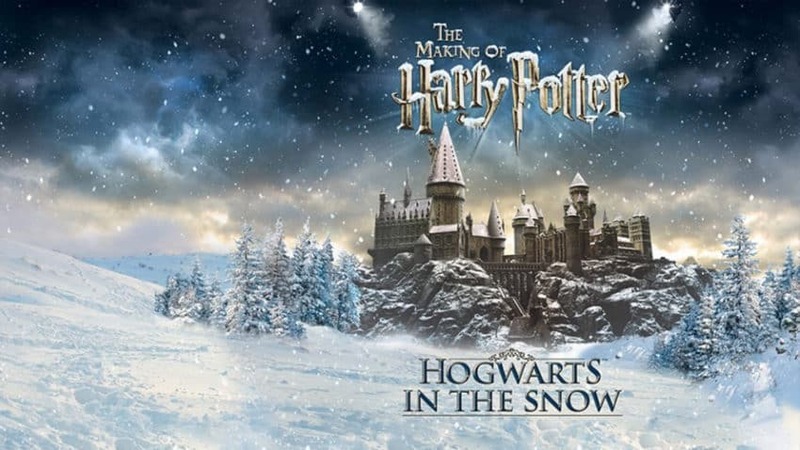 This festive season, experience Christmas time at Hogwarts and discover how film-makers created fire, ice and snow that never melts! From 18th November 2017 – 28th January 2018 you will have the opportunity to see the Harry Potter film series’ most iconic sets decorated for festive scenes. The Great Hall will be transformed, the Gryffindor common room will be dressed for the season and a blanket of filmmaking snow will be meticulously applied to the majestic Hogwarts castle model. For the first time ever, the Great Hall stage will be decorated as it was for the iconic Yule Ball. As seen in Harry Potter and the Goblet of Fire, the celebration of the Triwizard Tournament saw every detail of the Great Hall covered in shimmering silver, dripping icicles and sparkling snow. You will get a taster of this incredible set dress as the top section of the Great Hall will be transformed with snow-covered Christmas trees, icicles and an orchestra of magical instruments. Conducted by Professor Flitwick, the orchestra is made up of musical instruments painted by the Prop-Making department to match the silver of the Yule Ball. « Visit Winter Wonderland in Hyde Park this season!